A single trip to the makeup store can easily set you back hundreds of pounds. If you invest on good products that will truly make a positive difference in your look, then consider the money well spent. The problem is when you stock up on beauty products that you don’t use because you realise you don’t need them or worse, they’re the wrong beauty products for you. 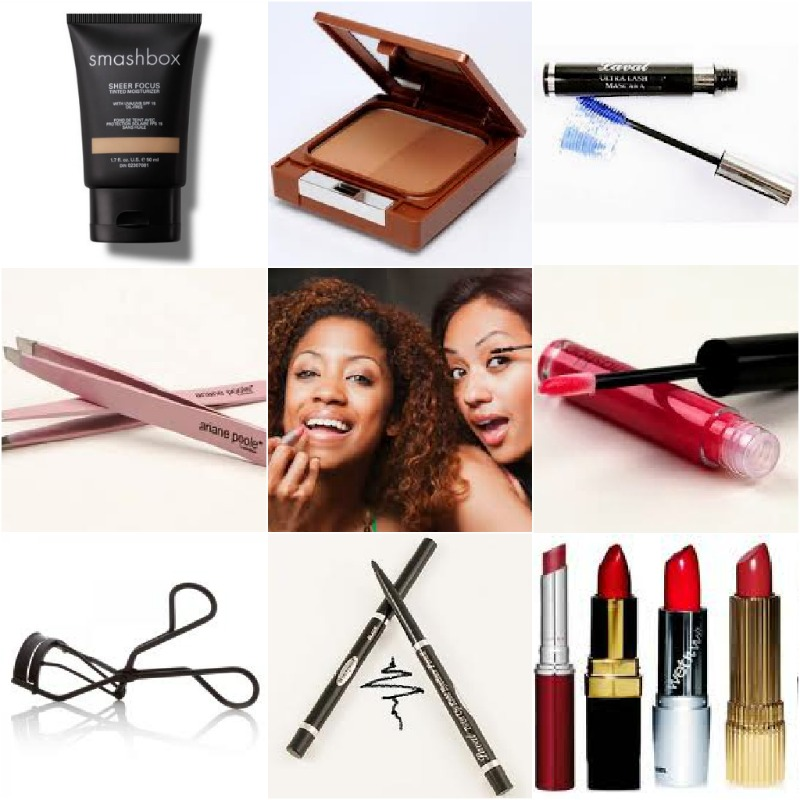 Unless you’re going to a dinner party or a photo shoot; you don’t really need to pile on the make-up. Instead of using foundation: (liquid or cake), purchase a good tinted moisturiser. Tinted moisturisers give your skin an even, clean, natural look. It also gives you the added benefit of moisturising your skin. Bright, clear, open eyes can make a big difference in a person’s looks. Curled lashes help in showcasing beautiful eyes. Healthy flushed cheeks can make a person look absolutely gorgeous and can complete a person’s natural look. There are a number of blushes available on the market in different forms: powder, gel, pencil and others. Some products even work as both cheek and lip tints. Select a good shade of lipstick that can take you from day to night. You can get several shades of lipsticks because there are plenty of inexpensive brands available but you must have one lipstick shade that can work for all your outfits and for different occasions. Once you find a shade that works for your skin tone and your outfits, make sure to get a fresh tube as soon as it runs out. This lipstick will be your signature shade, something you don’t have to think twice about putting on when you’re in a rush. For days when you don’t feel like wearing make-up but cannot step out of the house looking unkempt, lip gloss can add an instant ‘oomph’ to your look. Lip gloss are also great when you need to do quick touch ups. Applying mascara can make a person look extra glamorous with very little effort. Invest in a good mascara to give your eyes an instant ‘pop’. Mascaras are also great for when you want the more dramatic effect of smokey eyes.